This beautiful home feature luxurious hardwook floors, modern stainless steel kitchen appliances, gorgeous breakfast area with an open living-dining area. Fabulous rooms plus a gameroom, and spacious garage Great location to great schools and easy access to 249 & Grand Parkway! Great plus - quiet community and close to Retirement community. A Meticulous spacious Jewel on a Desirable East Slope Boasting Iconic Views of Fieldstone. This Ideal Blend of Relaxed, Tranquil Living Definitely Has The Wow Factor With A Gourmet Kitchen With high ceilings, it will Be Nearly Impossible to Keep Your Company Away From This Voluptuous lot. This amazing property is cleared to create a outdoor like atmosphere and mature trees and lush greenery fill the back portion with your favorite pool and patio. 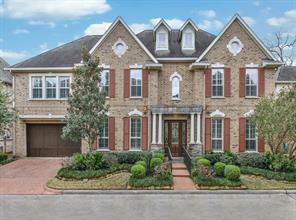 Stunning 2014 custom home in gated enclave off Memorial Drive, close to Terry Hershey Park & trails. A rare jewel with master suite downstairs. 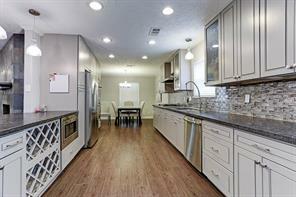 Large open family room & kitchen with Viking appliances. Elegant formal dining room with Groin Vaulted ceilings. Lots of custom treatments and upgrades such as vessel sinks and mosaic tile framed mirrors, glazed cabinetry, built securities room, iron and glass front door with side lights, plus all the finishes you would expect in a custom home. Home was remediated exceptionally well after Harvey, making it easy for new owner to repair with personal taste. Great kitchen layout, oversized master bedroom with a huge walk in closet. Extremely close to community recreational center (pool, basketball and tennis court). 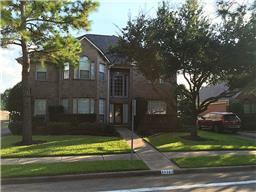 Fantastic opportunity to be in a gated community, with great Katy schools and a short commute to the Energy Corridor. Schedule a showing today. HIGH and DRY! Home DID NOT FLOOD!! Absolutely GORGEOUS contemporary modern home with unique architecture make this home ''one-of-a-kind!'' 3 stories with nice stone and stucco exterior. Kitchen Aid Staineless Steel Appliance package that includes a French double door refrigerator, double oven, built in microwave, dishwasher, 36 gas cooktop, wine cooler, Ice maker. Coyote 36 stainless steel BBQ grill and a separate two burner unit with a stainless steel sink at the rear 2nd floor balcony. This is a FABULOUS home and an INCREDIBLE price! Absolutely GORGEOUS and completely renovated home in Briarmeadow boasts a modern/ contemporary style and open concept floor plan. Luxury vinyl flooring, stainless steel appliances, large granite island kitchen with cooking range and impeccable finishes in the bathrooms have been built into this home for one very lucky person. Come see this absolutely BEAUTIFUL home today and you will be highly impressed! Spacious and open backyard space allow for building a pool or covered patio.....Come see this LOVELY home today!!! Foundation has been repaired and Lifetime Transferrable Warranty will be issued to the Buyer. Motivated Seller, willing to look at any reasonable offer. Completely remodeled and rallies new construction. 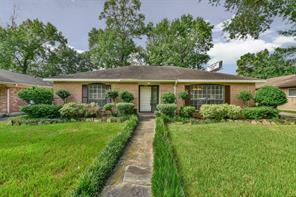 Great opportunity to get in the Energy Corridor at a great price! House did not flood during Harvey. 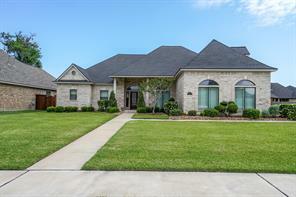 New Energy Efficient Windows, New French Doors, New HVAC System, New Granite, New Tile looks like wood flooring in high traffic areas, New Carpet in bedrooms, new stainless appliances, new paint inside and out, Master bath looks and feels like a spa. Move-in-Ready! 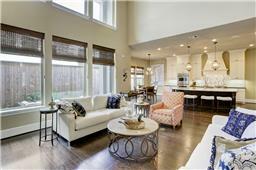 3 miles to Westpark Tollway, 5 miles to Beltway-8, 5 miles to Park 10 Business Center, 9 miles to Citycentre. Less than 2 miles from two private schools. STUNNING Recent CUSTOM Home!Abundance of natural light usher you into the two+ story gallery,formal study w/ upper loft,formal & causal living areas share dual fireplace,gourmet island kitchen with pool view & walk in pantry,generous guest rooms w/ private baths & 2nd flr balcony access,game AND complete media room,sprawling master suite down w/ dual custom closets,hard surface flooring thru out,slab w/ piers,backs to heavily wooded green belt,salt water sports pool,gorgeous outdoor living area! Gorgeous home nestled in a serene location of Northwood Estates! This amazing floor plan features a striking 1.5 story home. Open kitchen concept, stainless steel appliances, formal dining room and living room with wood flooring, butler’s pantry, dry bar, crown molding, plantation shutters, spacious bedrooms/closets and a grand Master Suite overlooking the tranquil backyard laced with 2 imposing palm trees, landscaping, sprinkler system and covered patio. Beautiful, private and calming...Welcome home! 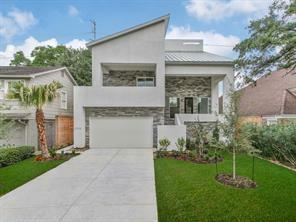 Absolutely GORGEOUS new development in Independence Heights! 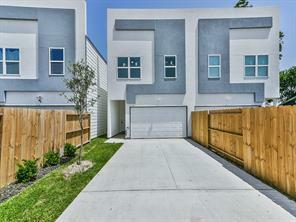 This lovely modern/ contemporary 3 bedroom home is located just outside the north loop with close proximity to 610 and 45. Open concept floor plan with first floor living, granite countertops, island kitchen, beautiful modern finishes and a game/ media room on the second floor! Come see this LOVELY home today! It is the LAST ONE AVAILABLE!!! You will be highly impressed! This is a GREAT Deal on the last one available!!!! 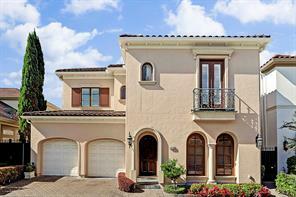 Immaculate home, great location, nestled in a beautiful gated community! Property backs to recent well maintained commercial property/parking area (NOT another home towering over the backyard) with generous evening lighting, providing clear views and comfort in the back yard (per Seller). Easy access to I-10, Beltway 8,City Centre & Energy Corridor! Inviting foyer w/ travertine floors, neutral colors, 2 spacious bedrooms at first floor, relaxing outdoor covered living space, sprawling second floor living area with rich wood floors & neutral colors, fireplace and beautiful kitchen with breakfast bar, expansive master retreat with spa-like bath, dual closets, recent exterior paint, tank less water heater, finished garage floors, W/D/R stay with home, additional guest parking in front of property, nice balcony with great lake views. Welcome home! BIG PRICE REDUCTION...MOTIVATED SELLERS! Live in now, update master later...Home is not in flood plain (see map in photos) and has never flooded. This gorgeous 5/3.5 has custom oak cabinets designed for the gourmet chef. The breakfast area and wet bar also have custom cabinets that bring a lot of functional space to the first floor. Upstairs are four large bedrooms and two full size bathrooms. The backyard has space to entertain around the beautiful private pool. Schedule you appointment today! Beautiful updated home in highly desired Nottingham Country, surrounded by large trees on a cul-de-sac street. 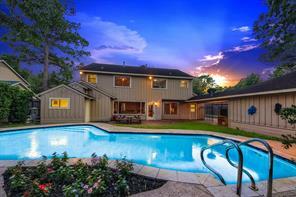 This home is walking distance to the best things Katy has to offer; Katy schools, restaurants and shops. 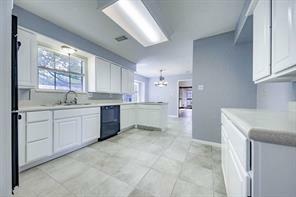 This 4 bedroom, 2.5 bath home offers; new paint inside and out, updated bathrooms, wood and tile floors (no carpet), new appliances, ceiling fans in all bedrooms and new fire alarms. Spending time outside is also made enjoyable with a large patio, mosquito and sprinkler systems, huge shade trees and new fence. The home also comes with transferable warranties on roof (21 years left) and HVAC warranties (2 years left). Make an appointment to see this live-in ready home that has never flooded! Absolutely GORGEOUS and fully renovated home in the Memorial Hills subdivision. This home has been completely modernized with new light fixtures, light grey flooring, granite countertops and stainless steel fixtures. The floorplan has been opened up for a modern/contemporary feel in this absolutely fabulous home! 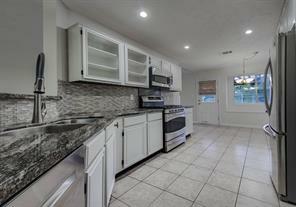 Come see this beautiful updated and modernized home today as it will not last long! 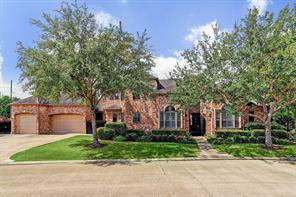 OUTSTANDING home on a lovely cul-de-sac and sought-out pocket within the Green Trails Estates! This charming 5 bedroom traditional home explodes with character & timeless beauty throughout. Magnificent design paired with true craftsmanship offers a downstairs study/formal living, dining room, inviting family room, elevated gameroom, huge enclosed storage room & a wonderful island kitchen. You will appreciate the countless improvements made per Seller: New 5 inch Red Oak wood flooring in dining, entry, & family (2018), New Master Carpet (2018), New Roof (2014), 2 HVAC's (2016 & 2017), 2 Tankless Water Heaters (2010), Sleek Secondary Bathroom Remodels (2016), & Recent Carpet Replacement in formal living & upstairs (-within last 2 years). NO FLOODING (-per Seller). You will marvel over the extensive trimwork, shutters, marvelous granite & the abundance of storage. Sparkling pool & spa laced by the well-manicured lawn & patio lounge area create a delightful outdoor retreat. Welcome home! SEE THIS BEAUTIFUL HOME BEFORE IT IS GONE! NEVER FLOODED! 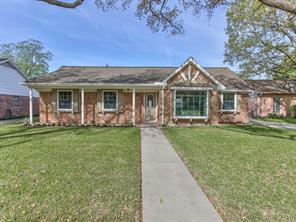 The amazing 1 story home with Katy ISD Schools has been fully remodeled and is ready for move in! Outstanding kitchen with updated cabinets, exotic granite, glass mosaic backsplash, stainless steel appliances with gas range, modern tile flooring & an open layout to the living and dining area! NO CARPET IN THE HOUSE! 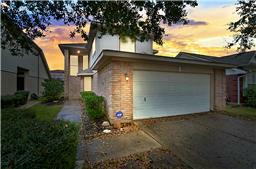 Large living room with vaulted ceilings, updated fireplace with new surround and new ceiling fans. One-of-a-kind master suite with Australian Cypress wood flooring & vaulted ceilings! Master bathroom has an updated slate vanity (it looks amazing!!) with double sinks, large closet and slate flooring! 2 bedrooms with wood laminate flooring and ample closet space. Beautifully remodeled hall bathroom with Jacuzzi tub & glass tile shower surround! Back patio and pergola with fire pit for relaxing and entertaining throughout the year! Award winning elementary school & short walk to neighborhood pool & park! 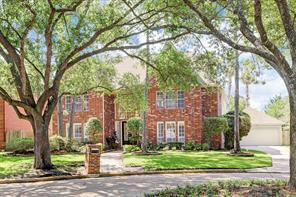 EXTRAORDINARY 1.5 STORY CUSTOM HOME within the guard-gated Royal Oaks Country Club community! Colossal-size homesite (14,900 plus square feet / per HCAD) allows for countless opportunities to build the pool of your dreams or simply enjoy having a spacious backyard with manicured lawn. This 5-bedroom home explodes with charm and character offering a BREATHTAKING elevation, plantation shutters, gameroom, UPDATED island kitchen, formal dining & living, enormous Master Suite and storage galore. You will marvel over this wonderful design (3 bdrm down & 2 bdrm options up), soothing color palette, high ceilings, fresh interior paint, wetbar, quartz counters, wood flooring & IMPRESSIVE 3-car garage. Incredible outdoor living area is complete with covered porch, multiple seating areas, irrigation system and huge backyard. Rare find within ROCC ~ Brilliant design, quality craftmanship & expansive lot! 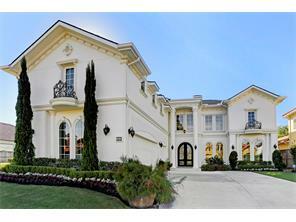 Outstanding Custom Villa located in the desirable, guard-gated Royal Oaks Country Club community! 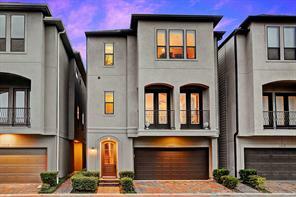 This luxurious home boasts with quality finishes and remarkable features! Complete with functional elevator, this 2 story gem is both impressive and immaculate. You will marvel over the captivating wrought-iron staircase, timeless wood flooring, extensive mill-work, tankless water heaters, wine storage/butlers pantry, upgraded stainless steel appliances, beautiful granite selections, epoxy coating on garage floors & recent *HVAC's in 2017 & 2018 (*per Seller). Double doors will lead you the enormous Master Suite offering a delightful sitting room with built-in's, hand-scraped wood flooring & an incredible custom closet! Retreat outdoors to discover the most charming & serene ambiance within the side courtyard. Enjoy this meticulously well-maintained landscape design, lighting, paved patio and flowing fountain year round! Resort-like living at its' finest! Beautiful ONE story recent construction home! This custom built expansive floor plan offers double iron front doors, an impressive foyer/gallery with open view to the formal living and dining space, spacious study, tile & wood floors thru out, sprawling family room adjoining the chefs kitchen including Bosch appliances, dual islands finished in granite and offering generous storage, prep and seating. Custom window treatments & shutters thru out, surround sound,water softener, art lighting, mosquito system, W/D/R included, incredible master bedroom retreat with fireplace & access to the pool/spa, spa-like master bathroom with jetted bath tub, oversize walk in shower, dual vanities with decor sinks & custom closet. Enjoy the private backyard retreat with salt water pool, spa, fire pit, BBQ grill, music and covered loggia. Enjoy resort living in this stunning home backing to a mature green belt offering privacy, many amenities and custom finishes.